Ahed Tamimi, a 17-year-old Palestinian, was released in August after an eight-month stint in Israeli custody. Tamimi has some very bad memories of the Israeli forces who killed, arrested and injured several of her family members in recent years. This years’ edition of The World’s 500 Most Influential Muslims pronounced Tamimi “a hero on the field”, praising her efforts to defend Palestinian cause. Malaysian Prime Minister Mahathir Mohamad, 93, is the world’s oldest sitting head of the government, the report said. Despite being named Muslim persons of the Year, Tamimi ranked 49, while Mohamad ranked 44 among 500 Muslim influential persons around the globe. In October, the Royal Islamic Strategic Studies Centre in Jordan had announced that Turkish President Recep Tayyip Erdogan topped the list of the most influential Muslims. The King of Saudi Arabia Salman bin Abdul-Aziz Al-Saud was ranked second in being the most influential Muslim, while Jordanian King Abdullah II Ibn Al-Hussein was ranked third. The projected number of Palestinians in the world is 13.05 million, of whom 4.91 million are in the State of Palestine, 1.57 million in Israel, 5.85 million in Arab countries and around 717,000 in foreign countries, Ola Awad, President of the Palestinian Central Bureau of Statistics (PCBS) said on Monday in a brief on the status of the Palestinian people at the end of 2018. The projected number of Palestinians living in the State of Palestine at the end of 2018 is 4.915 million: around 2.954 million reside in the West Bank and 1.961 million in the Gaza Strip. Palestinian refugees make up 42 per cent of the Palestinian population in the State of Palestine: 26% of them in the West Bank and 66% in Gaza Strip. The total fertility rate declined during (2011-2013) to 4.1 births (compared to 5.9 births in 1999). In Gaza Strip, the rate was 4.5 births compared to 3.7 births in the West Bank during 2011-2013. The average household size in the State of Palestine was 5.1 persons in 2017 (compared to 6.1 in 2000): 4.8 persons in the West Bank and 5.6 persons in the Gaza Strip. The 2018 crude birth rate is 30.5 births for every 1,000 of the population in the State of Palestine: 28.0 in the West Bank compared to 34.4 in the Gaza Strip. The crude death rate is 3.8 deaths for every 1,000 of the population in the State of Palestine 2018: 4.0 in the West Bank compared to 3.5 in Gaza Strip. The number of Palestinians living in Israel is 1.568 million by the end of 2018 of whom the percentage of individuals under 18 years was about 40 per cent for males and 39 per cent for females, while the percentage of individuals 65 years and above was 4 per cent for males and 5 per cent for females at the end of 2017. The population growth rate of Palestinians in the State of Palestine reached about 2.5 per cent in 2018. In addition, the growth rate of the Palestinian population in Israel reached about 2.3 per cent in 2017, while the rate for Jews in historical Palestine was about 1.7 per cent in 2017. GAZA, PALESTINOW.COM — Palestinian human rights center on Monday said that five Palestinian detainees died while in Israeli custody in 2018. 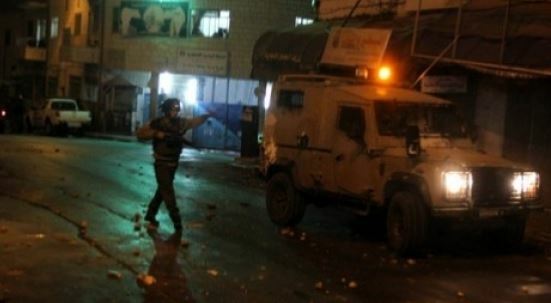 According to the Palestinian Prisoners Center for Studies and Documentation, Yasin al-Saradih, 33, died four hours after he was arrested from his house in Jericho on 22 February. Al-Saradih was severely beaten by Israeli soldiers who shot him at a point-blank range although he posed no threat to them. 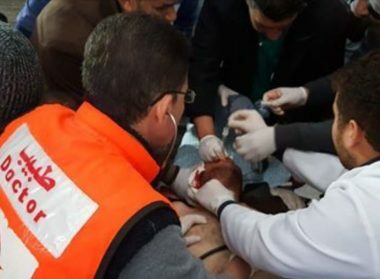 Mohammed Anbar, 46, was detained while injured on 2 April after the Israeli occupation forces opened fire at him at Jbara checkpoint in Tulkarem. He died six days later. Mohammed Marshoud, 30, died on 9 April, a day after he was shot by an Israeli settler near Khan al-Ahmar village in Jerusalem for allegedly attempting a stabbing attack. Aziz Oweisat, 53, suffered lung damage and internal bleeding in early May as a result of being brutally assaulted by the Israel prison guards at Eshel jail. The Israeli authorities refused to release him though his health seriously deteriorated. He died a few days later. Mohammed al-Rimawi, 24, was kidnapped from his home in Ramallah on 18 September by Israeli special forces and transferred to Halamish settlement where he was beaten to death. The Palestinian Prisoners Center said that Israel arrested 5,700 Palestinians in 2018, including 980 children and 175 girls and women, in an escalated arbitrary arrest campaign that falls in line with the collective punishment policy pursued against the Palestinians. President Mahmoud Abbas says Palestine will never allow the United States to sell Jerusalem al-Quds to Israel, reiterating that the occupied city will remain the eternal capital of the state of Palestine. Jerusalem al-Quds “is not for sale,” Abbas said in a speech marking the 54th anniversary of the Fatah party’s founding in the West Bank city of Ramallah on Monday. Israel lays claim to the whole Jerusalem al-Quds, but the international community views the city’s eastern sector as occupied territory. Washington also moved its embassy from Tel Aviv to occupied city months later in defiance of global warnings. Abbas said that the embassy relocation would fail to undermine the right of Palestinians to Jerusalem al-Quds and would not cause them to give up their principles. The National Gathering of Martyrs’ Families has stated in its annual report for the year 2018 that Israeli soldiers have killed 312 Palestinians, including women and children, and added that this number is four times higher than the year 2017. Mohammad Sbeihat, the Secretary-General of the Gathering, has reported that Israel and its occupation forces are encouraged by the silence of the international community, and expressed its support of the calls of Palestinian President Mahmoud Abbas to prosecute Israel in international courts for its escalating crimes and violations. Sbeihat added that the Gathering has thoroughly documented the Israeli violations in all governorates during the year, including reports from various human rights organizations. 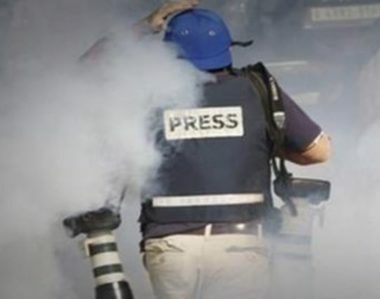 The number of Palestinians who were killed by Israeli army fire in 2018 is 312, including 310 who were shot with live ammunition, and two who died from the severe effects of teargas inhalation. 271 Palestinians were killed in several parts of the Gaza Strip. 42 Palestinians were killed in the West Bank. Six of the slain Palestinians are females. 306 of the slain Palestinians are males. The youngster slain Palestinians is Laila al-Ghandour, only eight months of age, and the oldest is Ibrahim Ahmad al-‘Arrouqi, 74. Fifty-seven of the slain Palestinians in 2018 are children (below the age of 18). Approximately one Palestinian was killed every 28 hours, which means that, comparing to the year 2017, the average is four times higher, as Israel killed 74 Palestinians. The month that witnessed the highest numbers of deaths by Israeli fire was May, as the soldiers have killed 89 Palestinians. The Average age of the slain Palestinians was 24. The number of married Palestinians killed by the army is 107, 104 of them were males and 3 females. Israel is still holding the corpses of twenty Palestinians who were killed in 2018. This is added to 38 corpses of Palestinians killed by the army in 2015 and remain held by Israel. The total number of corpses of slain Palestinians held by Israel since the year 1965 is 284. Israeli forces have killed 145 Palestinians in 2015. Israeli forces have killed 127 Palestinians in 2016. Israeli forces have killed 74 Palestinians in 2017. Israeli forces have killed 312 Palestinians in 2018. PPS identified the Palestinians abducted in Jerusalem neighborhoods as Alaa Haddad, Ashraf Eweisat, Ayman Daajneh, Marwan Najib, Subhi Najib, Mohammad Gharabli, Youssef Abu al-Hawa, Hashem Abu al-Hawa and Amin Abu al-Hawa.In the Ramallah area, the majority of those abducted were from Kobar village, where 14 Palestinians were taken. The other 5 were taken from Ramallah and al-Bireh. PPS identified these 5 as Hamed Riyad Hamed and Saed Hamed from Silwad, Ashraf Saaf from al-Mazraa al-Sharqiya, former prisoner Abdullah Abu Shalbak and Jaber Mamdouh Jaber from Kafr Nimeh. The14 Palestinians detained from Kobar village were identified as Jawdat Sarhan al-Barghouthi, Mohammad Sarhan al-Barghouthi, Mohammad Munir al-Barghouthi, Muhannad Rayyan al-Barghouthi, Miqdad Zahi al-Barghouthi, Ismail Zahi al-Barghouthi, Zahi Ismail al-Barghouthi, Yasser al-Fahl, Nael Omar Yassin, Mohammad Ibrahim al-Barghouthi, Abed Judeh Abu Maher, Mohammad Lutfi al-Barghouthi, Saher al-Barghouthi and Imad al-Barghouthi. The two Palestinians taken from Jenin were identified as Mohammad Jihad Abu Bakr and Usama Amarneh. Another two unidentified Palestinians were taken from Salfit in the northern West Bank. 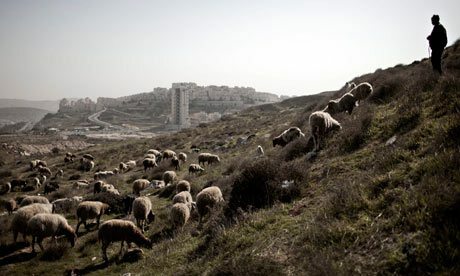 These invasions and abductions are a nightly occurrence in the Occupied Palestinian Territories, where the Israeli military retains full control of Palestinian land and forces the Palestinian population there to live under military occupation. Many of those abducted in these night raids are then held in Israeli prisons for months on end with no charges under so-called ‘administrative detention’. This is the first of two articles quoting and briefly putting in context mentions of Palestine in two modern translations of “The Histories” of Herodotus of Halicarnassus(c. 484 – c. 425 BCE), ‘The father of history’. The five mentions are mostly geographical, but include mythical and historical material. As is typical with Herodotus, the closer he is to his own time, the more firm is his grasp. Yet unlike with the Greek historians who followed him and were mostly concerned with the history of their own lifetimes, Herodotus’ historical reach at best extends to about 650 BCE. Before that time history gives way to mythology in his writing. In this article we are using a revised edition of Aubrey de Sélincourt’s(1896-1962) translation from 1954, published by Penguin in 2003. The revision was done by John Marincola(b. 1954).